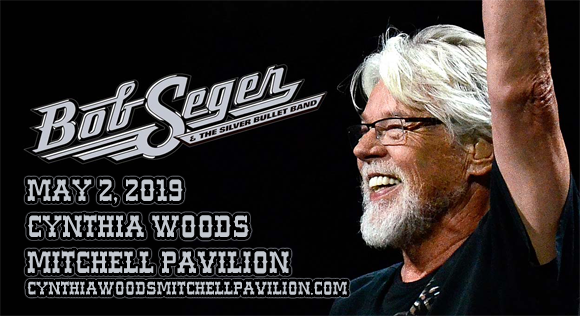 Bob Seger And The Silver Bullet Band comes to Cynthia Woods Mitchell Pavilion on Thursday 2nd May 2019 as part of the Travelin' Man Tour – a farewell to one of the best-selling and most beloved artists in the music industry! Seger has enjoyed a six-decade career of hits, and fans will get to sing along with a tear in their eye at this very special show that sees the retirement of a true musical icon! Tickets will sell fast, so don't delay! Best known for his hits "Ramblin' Gamblin' Man", "Night Moves", "Turn the Page", "Still the Same", "We've Got Tonight", "Against the Wind", "You'll Accomp'ny Me", "Shame on the Moon", "Like a Rock", and "Shakedown", American singer-songwriter, guitarist and pianist Bob Seger forst found fame in the 1960s in Detroit. Hugely popular in his native Michegan, Seger spent the '60s performing under the names Bob Seger and the Last Heard and Bob Seger System, and he had a breakthrough hit in 1968 with the track "Ramblin' Gamblin' Man". After that, things were quiet for Seeger for a few years, and he formed a new group, the Silver Bullet Band, in 1973. Three years into their career Bob Seger and the Silver Bullet Band released Night Moves, a breakthrough album that eventually went six-times platinum. After that, Seger and the Silver Bullet Band continued to have a wealth of hits, and throughout his six decade career, Seger has sold more than 75 million records worldwide, making him one of the world's best-selling artists of all time. In 2004, he was inducted into the Rock and Roll Hall of Fame, and the Songwriters Hall of Fame in 2012.